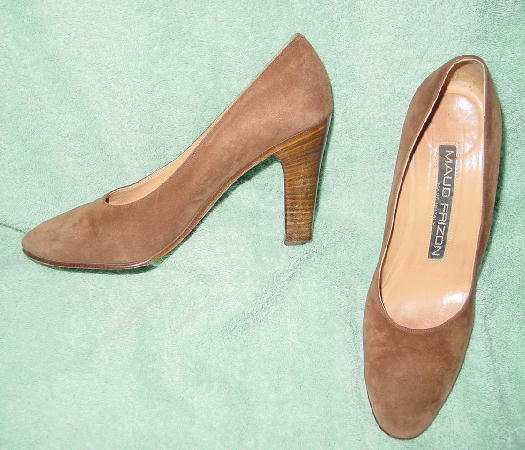 These vintage soft light brown suede pumps are by Maud Frizon and were made in Italy. There are light tan leather linings and insoles. They have rounded toes, leather soles, and wood stacked heels. 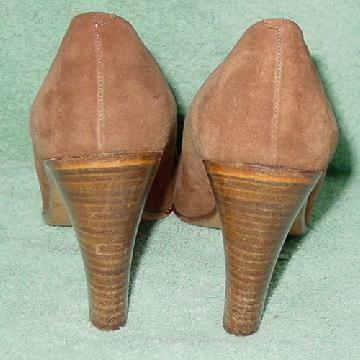 The stacked heels have a few scuff marks. They're from a former Los Angeles model.